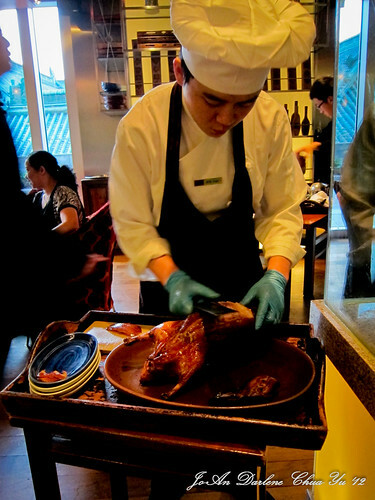 Made in China in the Grand Hyatt Hotel has been touted to have the best Peking Duck in Beijing. 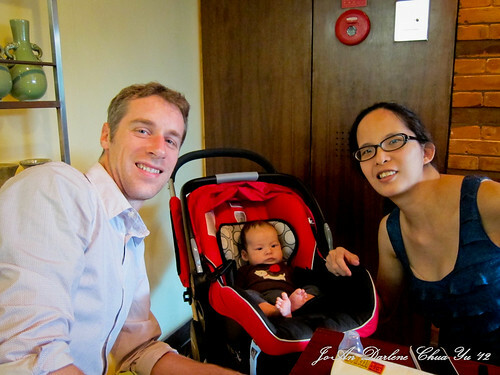 What trip would be complete if we did not get to try this restaurant out? On our last night in Beijing, Dichie booked us a table in this restaurant. 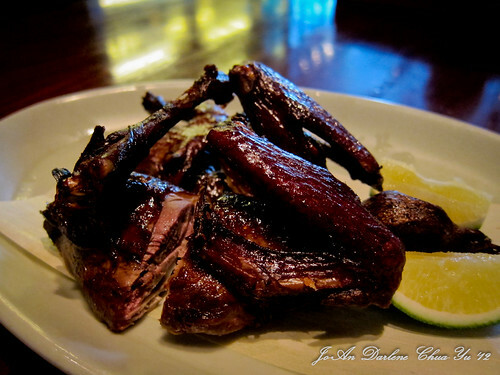 Having heard a lot of good reviews, I was really excited to try this restaurant let alone try their Peking Duck. 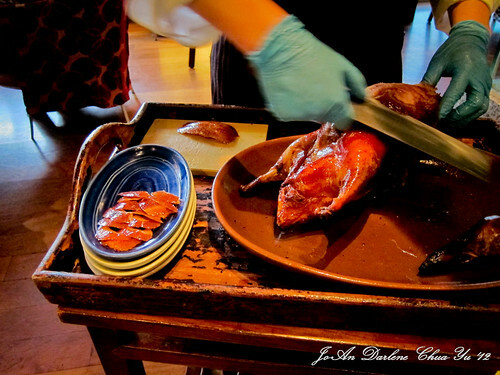 The Roasted Peking Duck cooked 2 ways had been pre-booked together with our reservation but it would still take around an hour to get it served. So, Dichie ordered a variety of dishes to wet our palettes. 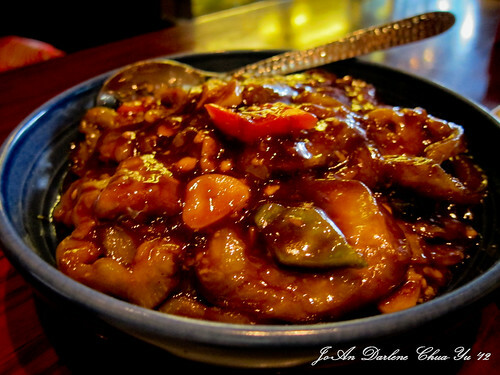 Except for the eggplant dish and the pan fried dumpling, I totally loved each and every single dish. We started out with this appetizer. Totally unexpected! 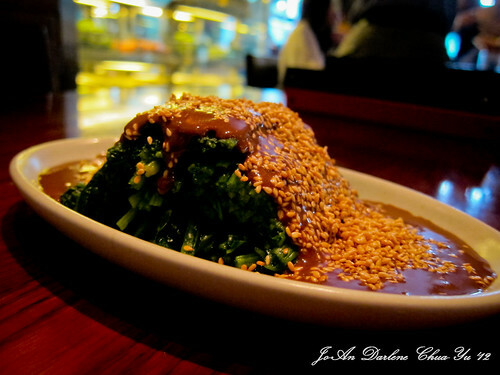 The saltiness and sweetness of the peanut sauce is further punched by the spiciness at the end. Magical! Love this! Simply delicious! 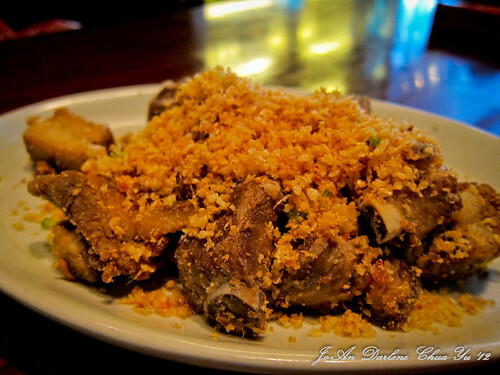 It had the right amount of garlic bits with the pork perfectly marinated. This is against my diet but I really couldn’t resist. 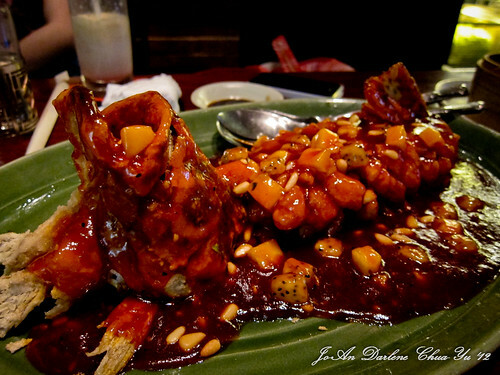 Nothing special with the dish. 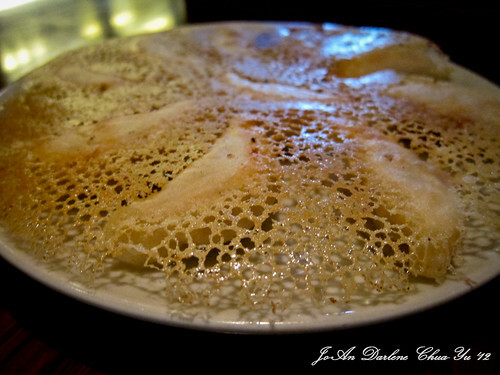 This was the only dish that didn’t get cleaned. Nicely presented but I think the skin is a bit too thick and tough. 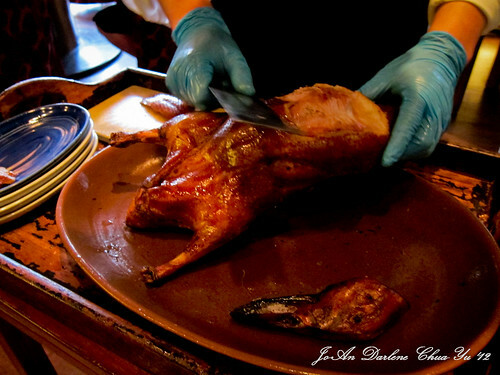 After finishing the dishes, the most-awaited roasted Peking Duck is finally getting served. 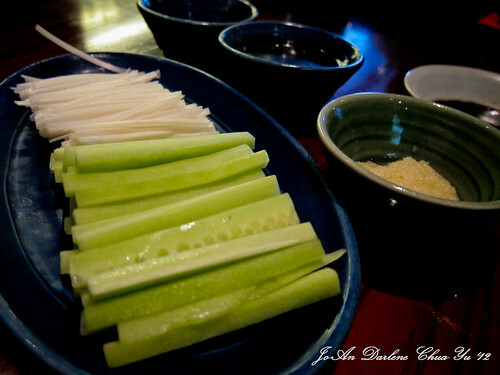 First came out the wrapper and the other condiments – Celery, Sugar, Hoisin Sauce and Garlic. 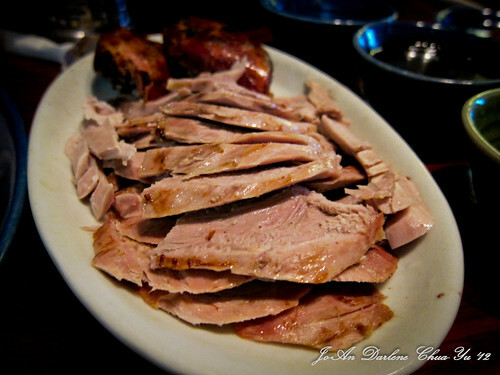 For Peking Duck virgins, how do you eat this dish? 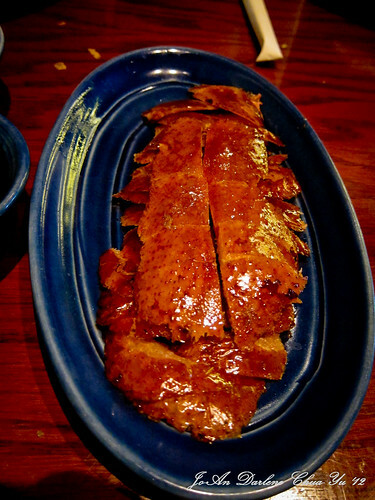 Dip your Peking Duck in your preferred sauce. Place on top of the wrapper. Put celery, as desired. Then, wrap. 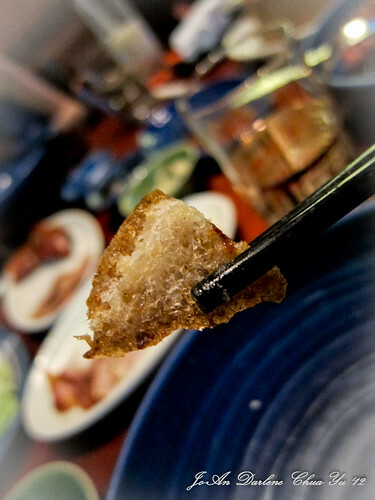 I preferred mine dipped on Sugar then topped with the hoisin sauce and the crushed garlic followed by 1 piece of celery. 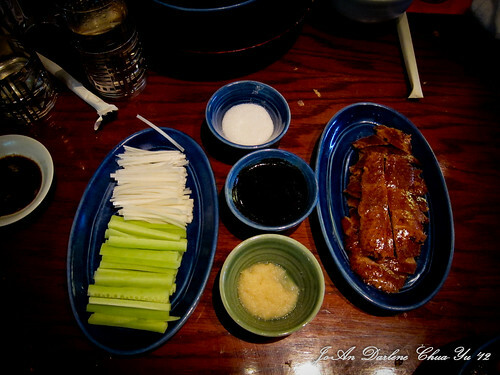 We got served 3 different parts of the Peking Duck. 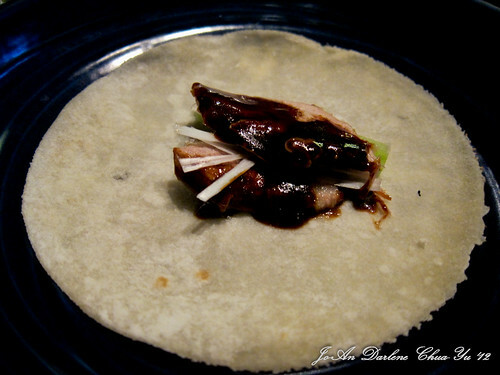 Here’s my first of many wrapped Peking Duck! 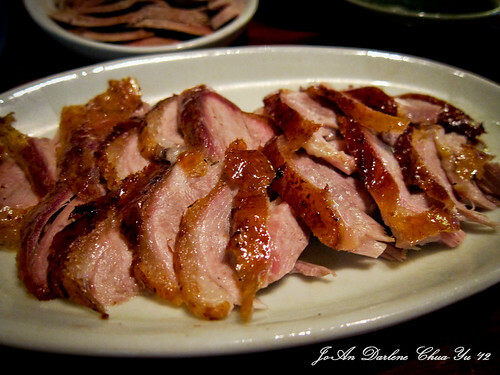 Truly the best tasting Peking duck I’ve eaten! 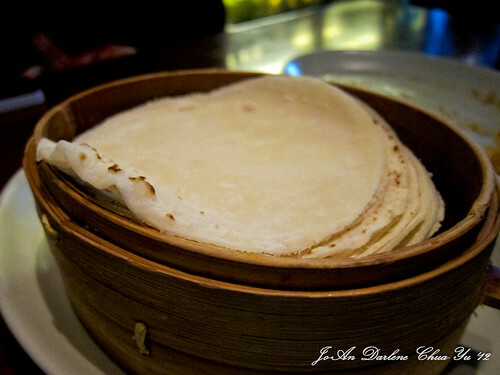 You can’t miss this when you’re in Beijing!